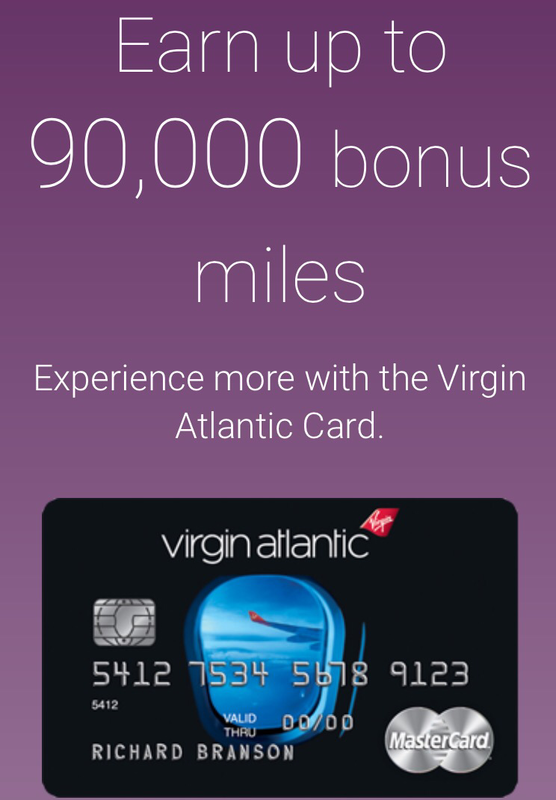 It seems this offer comes and goes quite a bit but I just got an email from Virgin Atlantic Flying Club advertising the 90,000 mile signup bonus on the Bank of America Virgin Atlantic MasterCard. The previous working link I was aware expired so here is the current, direct link to the offer. Even though its advertised as a 90,000 mile offer, I think its better to view it as a 82,500 mile offer as it seems likely you can spend $15k on the card if you already spent $12k of that getting the bonus 50,000 miles. Additionally, you earn 1.5 miles per dollar spent on this card so if you do manage to spend $15k on this card, you will end up a total of ~105,000 Virgin Atlantic Miles. The annual fee of $90 is NOT waived for the first year. This offer expires on July 10th per the email I received.